Zografou small beach lies south of Vourvourou; it is a beautiful, sand and pebble mixed shore with deep waters, surrounded by rocks. It is organized with a beach bar run by the camping site located there which makes it ideal for campers but also, water sports lovers. The beach is perfect for diving and snorkelling due to the crystal clear water and diverse marine life, and the beach is surrounded by interesting rocks and trails to explore. 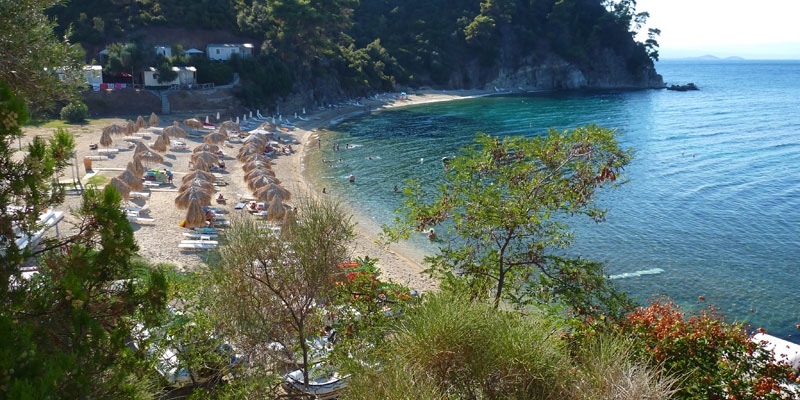 In order to reach the beach, you need to enter Porto Elea camping site and pay a small entrance fee. Along the beach, there is a green area with toys for children, a small park and plenty of space. It's highly recommended for those who prefer less crowded beaches.